The Shadow series gets a special one-shot in April of 2014. 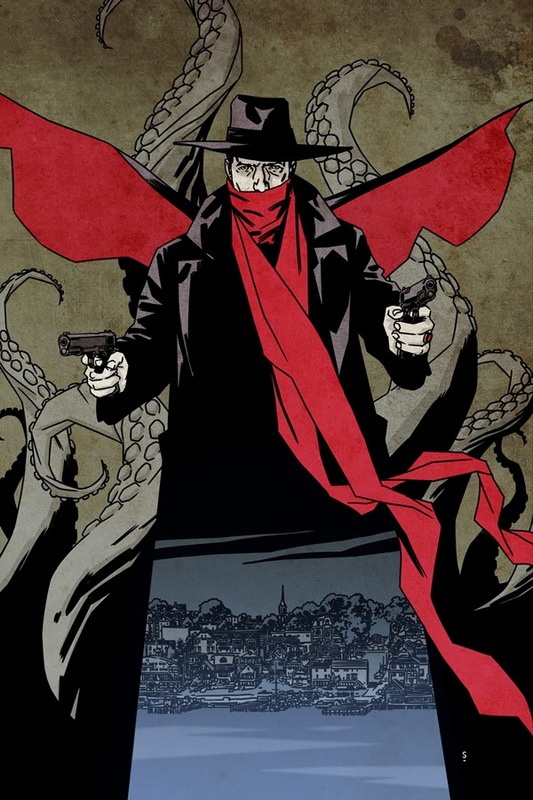 The Shadow Over Innsmouth is written by Ron Marz (Green Lantern) and artist Matthew Dow Smith. Crafting a Shadow story like no other and placing the pulp avenger in H.P. Lovecraft's famous setting for a truly inspired one-shot, this oversized issue will be available in April from Dynamite Entertainment via both comic stores and digital platforms.